Have you ever thought about cooking in Spain, in an authentic location such as the whitewashed village of Vejer de la Frontera? As some of you may know, we are in the process of publishing a language learning cook book called “Cooking with Languages”. 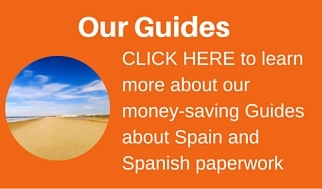 We have some simple, scrummy recipes for you all to enjoy whilst also learning Spanish . Many of these were contributed by friends and colleagues from all areas of Spain. One of the contributors is the lovely Annie B. So, whilst on our summer holidays in the province of Cadiz, we popped in for a quick cookery lesson with our Cooking in Spain twitter buddy. @cookinginspain is also known as the lovely Anne Manson from Annie B’s Spanish Kitchen in Vejer de la Frontera. I met Annie a few years ago (you can read about it here ) and need no excuse to visit her in Vejer at any opportunity. However, this time it was our children’s turn to have a go. After all, our cookbook is designed for the children and for family fun in the kitchen. Learning is fun when you have a good teacher. Learning is fun when the teacher makes it simple. Cooking and learning is fun with Annie B. Here is a short video to show you what they got up to and what they thought …. Do you have a favourite recipe that is simple but scrummy? If so, send it to us and if we include it in the book, we’ll dedicate it to you. So, who’s ready to start cooking in Spain?